Everyone is home for Christmas, an opportune time for family portraits. 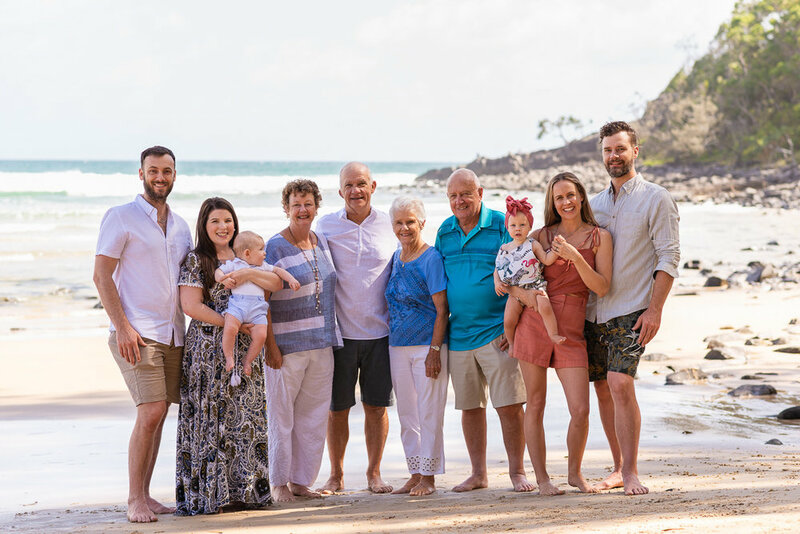 I met the entire Fletcher family at Noosa Heads National Park early one morning between Christmas and New Years for an extended family portrait session at the beach. We chose the sheltered cove of Tea Tree Beach as it is accessible for all ages and has a great mixture of backgrounds from the ocean to rocks and bush. Not always but most of the time, babies and toddlers are fairly well behaved after a nap and a feed so we decided an early morning would be best to kick off. Tea Tree cove is fairly well sheltered from direct light of the morning which provided some great soft open light and plenty of opportunities to change backgrounds and still have nice light all around. It’s not often the whole family comes together, usually this happens around holiday events or significant birthdays or life events. 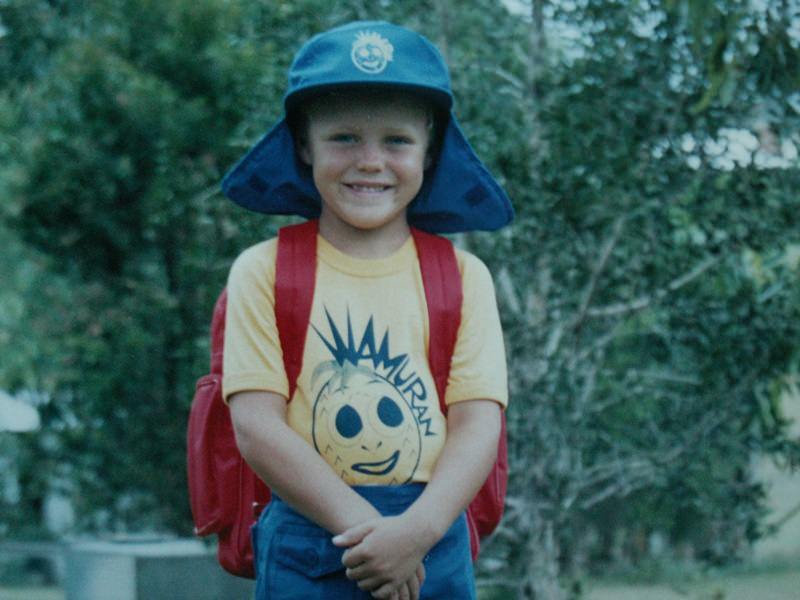 Here, everyone had gathered at Bryan and Roses house at Noosa for the Christmas and New Years period. We had grandparents up from Melbourne, one family from Brisbane and another family from London. What was extra special about this Christmas was that the two grand children were able to play together for the first time. I had a list of photos from Byran and Rose of what they wanted from the photoshoot, the standard group shot and then breaking down into the smaller family groups. We started off with some candid images while everyone settled into the location before setting up the more structured groupings. Of course there are no hard and fast schedules to be followed so I am always open to requests and ideas from all family members. Once we were finished with the formalities it was time to have a bit more play time at the beach and capture some natural portraits of everyone. It was made clear at the time of booking that there was a limited window of time to edit and reveal the images and process and print the favourite portraits. In a few days following the portrait session I revisited the Fletcher family at home and projected a slideshow on their TV. I carry sample printed products with me to the photoshoot and also to the image reveal and ordering sessions to give an idea of the features and qualities of each product. Each family took home either a Canvas Print or a Wood Print along with a USB stick containing all the edited images from the session. Prints can take anywhere from 2 to 3 weeks to process as each image is further enhanced for the chosen print medium. 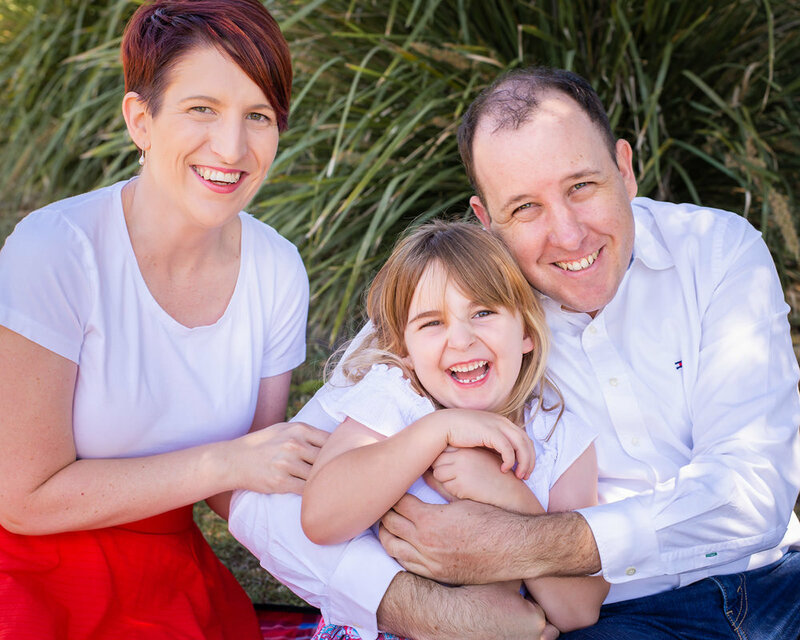 Stuart Cox from Stuart C Photography is a professional photographer who works with children and families in the outdoors to create awesome artwork for you to keep and display in your home forever. Based in Caboolture, North of Brisbane towards the Sunshine Coast. Family Portrait Sessions are typically held on Saturdays in a location of your choice. 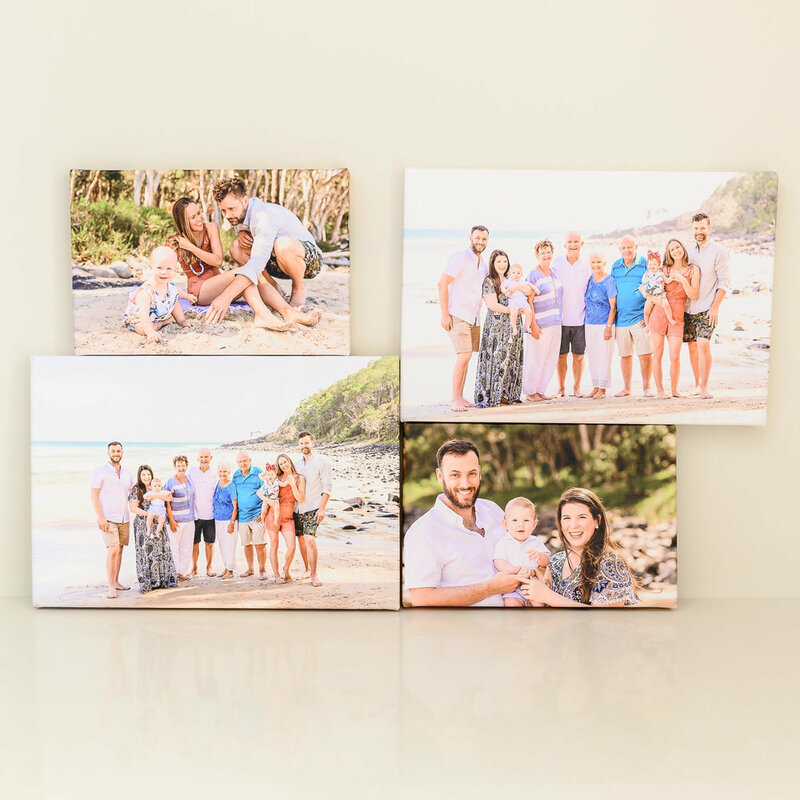 A quality range of options for displaying your family portraits are available, whether you are looking for something small such as a matted print or an acrylic tile, an heirloom album or large wall art. Family Portrait Sessions start at $95 and your choice of prints and products range from $50 per print and up to $995 for a 40x60” Canvas print for your wall. 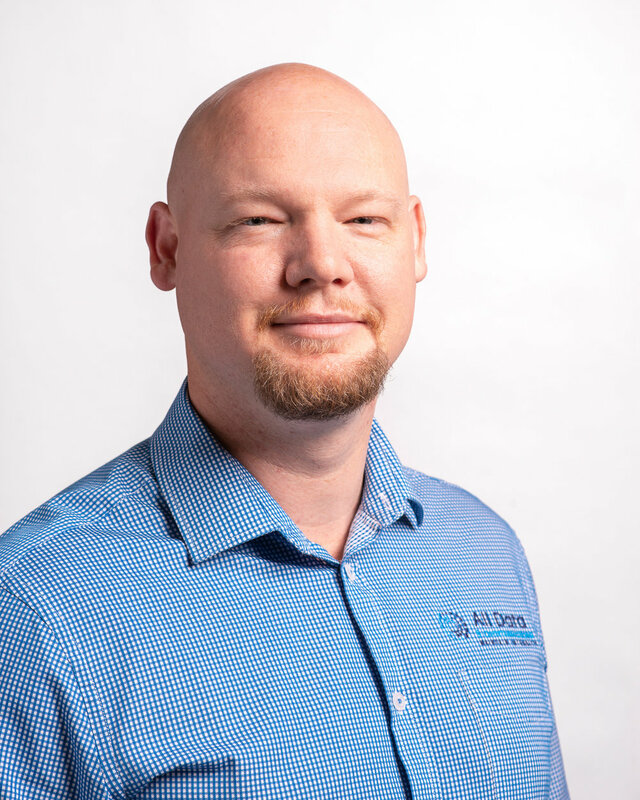 All Data and Communications Pty Ltd are a local Burpengary based business currently updating their website and subsequently required new headshots of their team members. Tight crop on a plain light background. 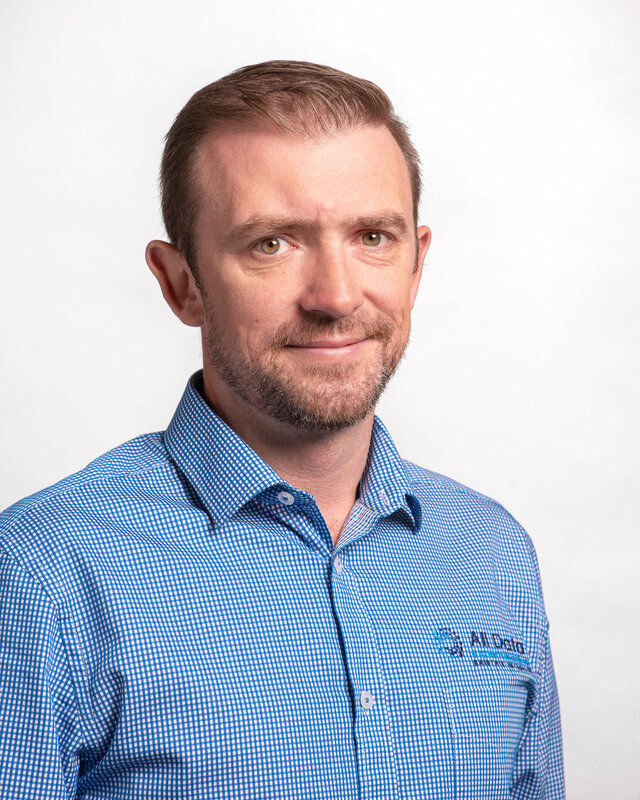 As part of my service I am able to offer onsite photography and arrived with my portable background and lights which are quick and easy to set up. With a plain background and professional lighting it is a quick process to work with all staff members to create consistent looking portraits. Images were reviewed onsite to ensure everyone is happy with their appearance before heading back to edit and deliver in both high and low resolution digital files. Stuart C Photography / SCP-Commercial specialises in small product photography shot in studio and can deliver high quality, high resolution images for your business including images for marketing, e-commerce, and print media. From product and food photography, property and real estate, to commercial images for your marketing campaigns and websites. Through landscape and portraiture photography I have developed a broad skill set that have enabled me to include real estate, commercial and product photography. Skills such as composition, posing, lighting and macro combine to offer a range of styles and techniques to display and promote your business. Lake Eden in the heart of North Lakes on Brisbanes North Side is a wonderful place to bring the family and a great place to take family portraits. I have photographed Tenniel, Michael and Alexis previously and it is always a delight to catch up again for another portrait session and follow as the kids grow up. 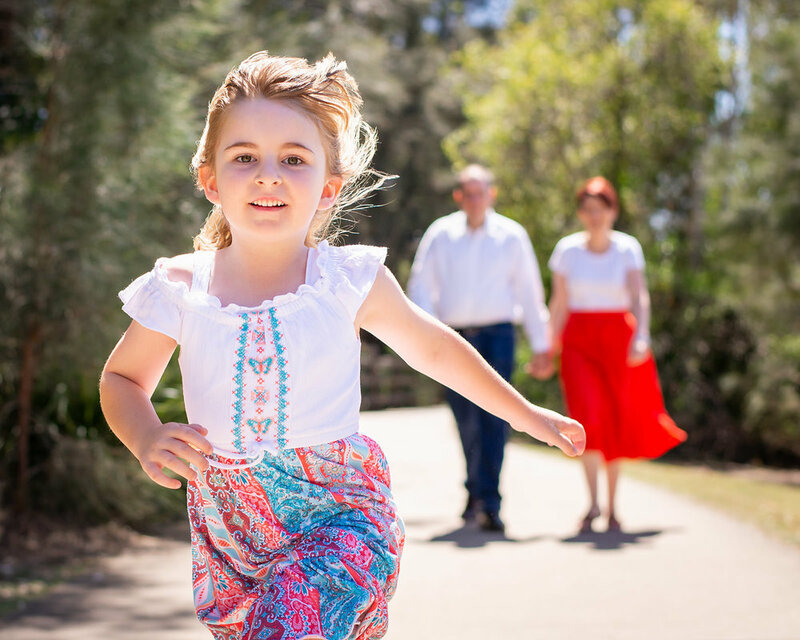 There are many spots around Lake Eden to use as a backdrop for your family portraits at any time of day. We started at the deck over the water before moving onto the bridge, the open field and finally in among the dappled light of the huge fig tree near the playground. Tenniel took advantage of the Christmas Gift promotion and chose six 8x10” Matted Prints to give to family as Christmas Presents, and of course keep a few for herself. 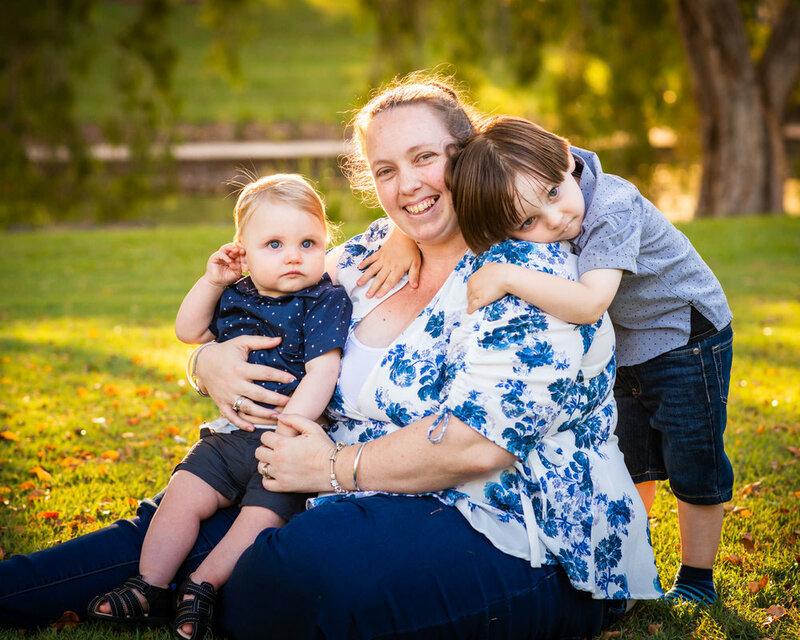 I met Suzy, Fred and their two adorable boys at Centenary Lakes in Caboolture for a photoshoot full of fun and adventure. We moved around the lakes from spot to spot chasing the sunlight and working through a range of activities to create some lovely family moments. Suzy mentioned that Rowan loves to go fishing so they brought along his fishing rod. These made for some great moments between Fred and his boys as they pretended to fish in the lake. There are many options available to display your favourite photos and for Suzy and Fred, the best way was a story box of ten 8x10” Matted Prints and a pair of unique Acrylic Tiles for Suzy’s desk at work. Anita contacted me looking for family photos as they have recently welcomed a new addition to the family and hadn’t had family portraits taken since 2013. This was also a great time to get the whole family together and share in the family portrait experience. 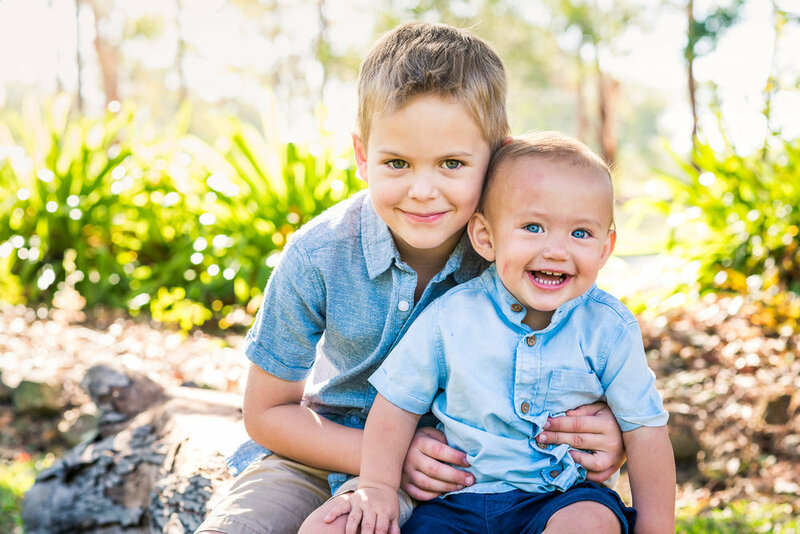 Extended family portrait sessions offer many opportunities to capture all combinations of the entire family and provide family keepsake images for everyone involved. It is always great to get the whole family including the grandparents and the generational images. 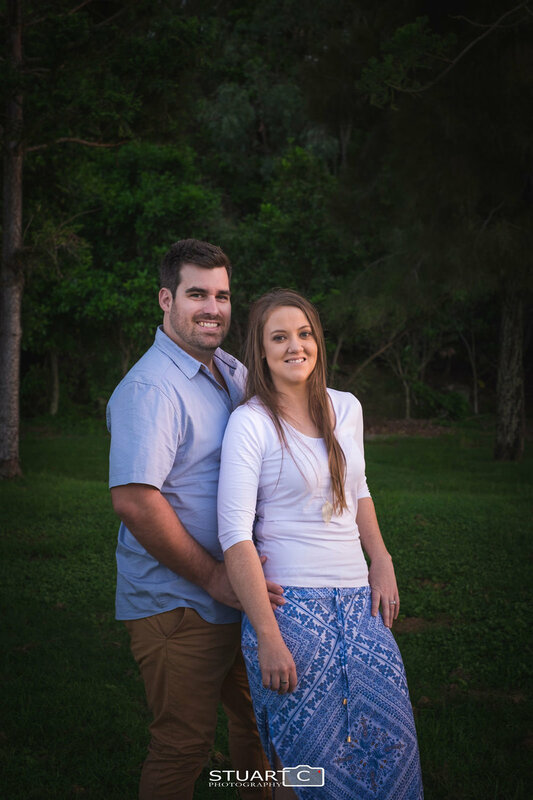 There are so many locations in Centenary Lakes at Caboolture for photo opportunities. As it was fairly early in the afternoon we chose a shady spot away from other park goers, the dense trees provided a really nice green backdrop. Click here to learn more about portratis in Parks and Gardens. Shortly after the photoshoot I met up again with Anita and Scott to view their images and select how they want to display their artwork. A 16x20” Canvas was chosen for their favourite family photo, along with a story box of ten 8x10” Matted Prints. Anita requested black matt boards to match her other family photos at home. These matts measure 11x14” which is perfect if you wish to frame them yourself. The Bell family won a portrait experience voucher through their local family daycare centre. It was a delight to meet them all and spend the afternoon together at Centenary Lakes. One of my favourite spots at Centenary Lakes is a large fig tree tucked away from everyone else. In this location you will find not only the tree but stairs, rocks, water, park benches and an open field set away from the crowds. Click here to learn more about portraits in parks and gardens. A week after the photo shoot we all met up again to view the images, I helped Vanessa and Martin select how they wanted to display their images. A 16x20” canvas was picked to show off the whole family portrait, along with a story box of ten 8x10” matted prints in colour and black and white. 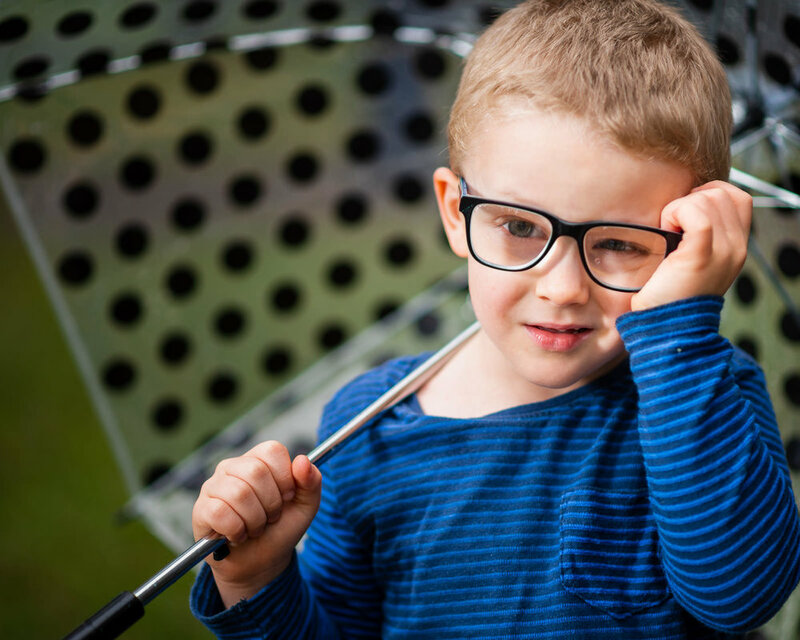 Need some help or ideas for preparing your next outdoor family portrait session? Photographic prints come in all shapes and sizes but they are not all the same format. Below is a cropping guide showing my standard print and wall art sizes and how the format affects your image. Choose creative crops for emphasis. A long narrow wall print will accentuate a stunning background. A Square print can draw the viewer into emotion of action in your image. Allow a comfotrable margin of background around the subjects, don’t crop too close and give the subject somehwere to move or look out of the frame. When cropping onto a person in close up, avoid cropping at a joint such as the knee, ankle, elbow or wrist. I am happy to provide expert advice about how to crop and display your images, and hopefully this chart with help you visualise how your images will appear when they are printed. 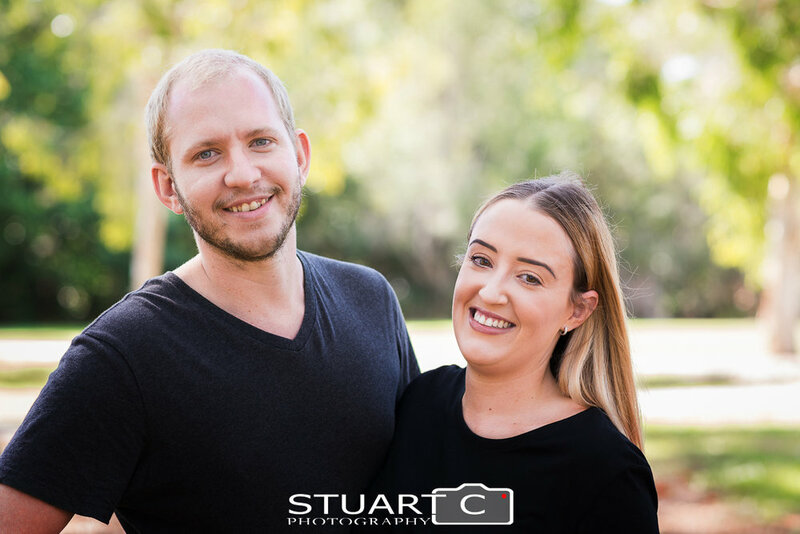 Stuart C Photography is a Caboolture based Outdoor Family Photographer servicing all areas from North Brisbane to the Sunshine Coast. Family Portrait Sessions are typically held on Saturdays in a location of your choice. 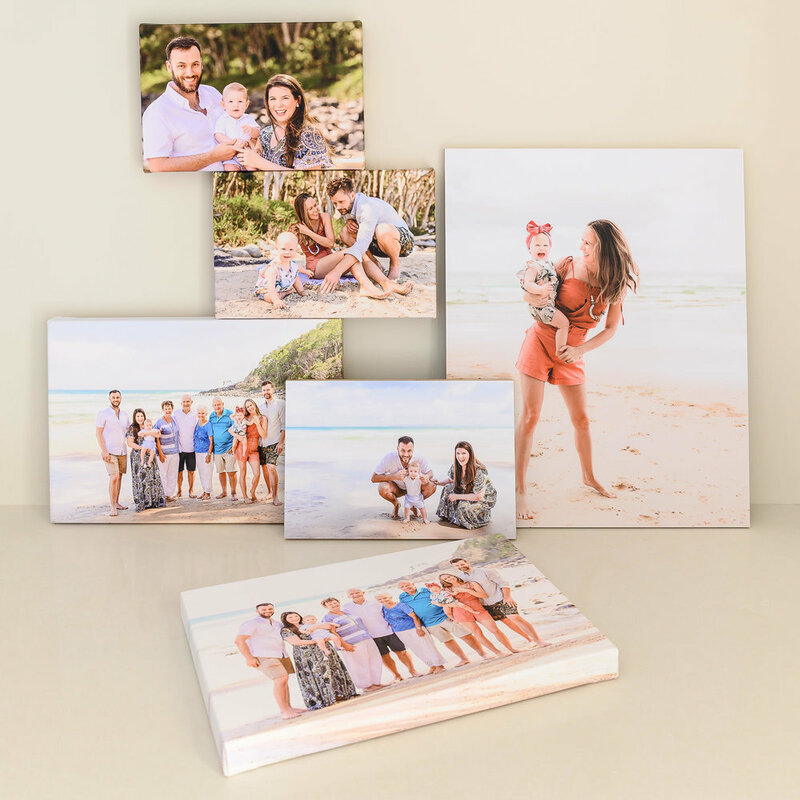 A quality range of options for displaying your family portraits are available, whether you are looking for something small such as a matted print or an acrylic tile, an heirloom album or large wall art. Family Portrait Sessions start at $95 and your choice of prints and products range from $50 per print and up to $995 for a 40x60” Canvas print for your wall. Shooting outdoors has an inherent risk of poor weather, I always keep an eye on the weather forecasts in the lead up to the shoot and leave it fairly late if we should cancel or continue. All week I have been hoping for a dry spell for a family photo shoot that was scheduled for Saturday afternoon at Centenary Lakes. Sun-showers and a little bit of rain don’t phase me and it is often the case that when the sun comes back out there is magic in the air, everything is cleansed, the sun is shining - perfect. Not so much this week, everything has been soaked to the core and unfortunately I had no other option than to postpone the session. Today I realised that I probably should not let the weather get the best of me, we all love to shoot when the sun is shining and the weather is perfect, but being an outdoor family photographer I am at the mercy of the weather. Now being stuck in the rain is not everyone’s cup of tea, but maybe I should ask the question and try something more adventurous with my families. My resident model was as keen as mustard to get dirty and wet! A typical 4 year old boy, always ready and willing to splash in some puddles. So in a park not too far from home, we ventured out in the inclement weather in search of muddy puddles. Meet the Brooks Family, Matt, Jess, James, and Henry. 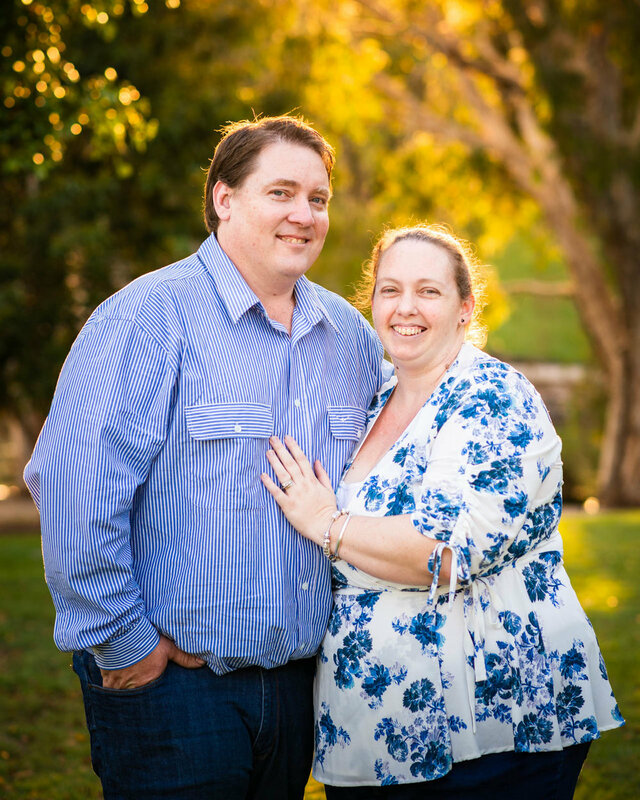 We spent an afternoon together close to home in Beerwah before heading to Maleny to capture sunset portraits. Before the shoot Jess downloaded the preparation guide to Outdoor Family Photography which covers locations, what to wear, how to prepare, and explains each step of the portrait process from start to finish. Jess was after a Rural and Bushland setting and had in mind the idea of a sunset with the Glass House Mountains in the background. I knew of the perfect spot for the sunset photos but wanted to find somewhere else that was quieter for James to run around. I spent quite a few hours scouting online before setting off to visit the shortlist of locations. We started the photo shoot close to home, down the end of their street. At the end of a very long quiet dirt road we were able to ease gently into the photo shoot. I needed to make James comfortable and trust me, we bonded over dinosaurs and played little games to keep his interest. I had the above image planned out and prepared a vintage timber crate to sit on, I love how the rows of macadamia trees in the grove give contrast to the bright golden sunlight coming in from the side. We moved on from the dirt road in Beerwah to a fantastic roadside spot at Maleny that overlooks the Glass House Mountains just in time for sundown. The weather had been quite patchy in the lead up to the shoot but the sky put on some really nice colours. Again we played games, ran about, and captured some authentic family moments as the light faded. An online gallery was created for Jess and Matt who chose their ten favourite images for a Matted Print Box. These boxes are a great way to store and display you images for many years to come, you can even frame the individual prints to hand on your wall or place on a shelf. Over the past few years I have photographed Bryony, her immediate and extended families, a few milestone celebrations, and some Zumba events. Bryony has recently started performing and learning the art of Burlesque and asked me if I could shoot some portraits. Naturally I jumped at the opportunity to photograph her in the studio. Still in early stages of act development, Bryony is finding herself as a performer. She knows she’s not vintage, and not cabaret, but will always have an element of comedy and play in her routines. Bryony needed portraits done for her classes and performances with Bombshell Burlesque Academy, portraits that captured a variety of looks and showed versatility. Straight up Bryony was nervous as anything for the photoshoot and was concerned that the photos would not turn out so flattering, after all burlesque is not about being covered up. There was a last minute decision to bring along a close friend, Kelly, to bring some emotional support and make sure she was looking fabulous. It was a great thing for Kelly to come along not only for encouragement and extra reassurance, but to help out with wardrobe changes, keeping an extra eye on things, and even becoming my assistant for a few frames. We worked through three wardrobe changes starting with a set of green feather fans, and running through a series of expressions and poses both full length and close up. Props are great for finding your groove, giving you something to work with and experiment. Hands are one of the harder body parts to position especially when you are trying to hold out a fan and not look like you are twisting your wrist back on itself. Next up we showcased Bryony’s beautiful Mimco neckpiece adorned with pearls, diamantes and feathers. We mixed up the backlighting for this series to add more of a stage light appearance and still keeping the overall scene dark. Lastly we freestyled the movements playing with a long green dress with high leg splits, the dress was great for twirling and flicking. 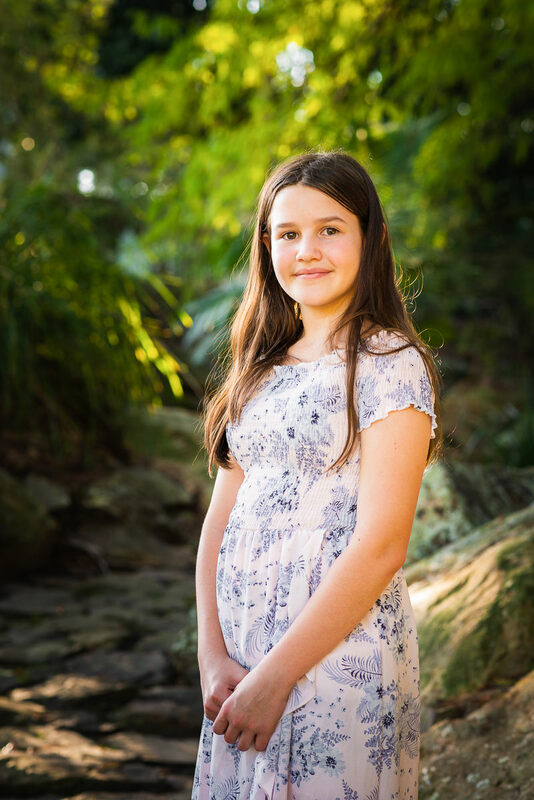 The shoot was fun, full of action and laughter, which helped put Bryony’s initial concerns at ease and start to feel comfortable and enjoy being in front of the camera. 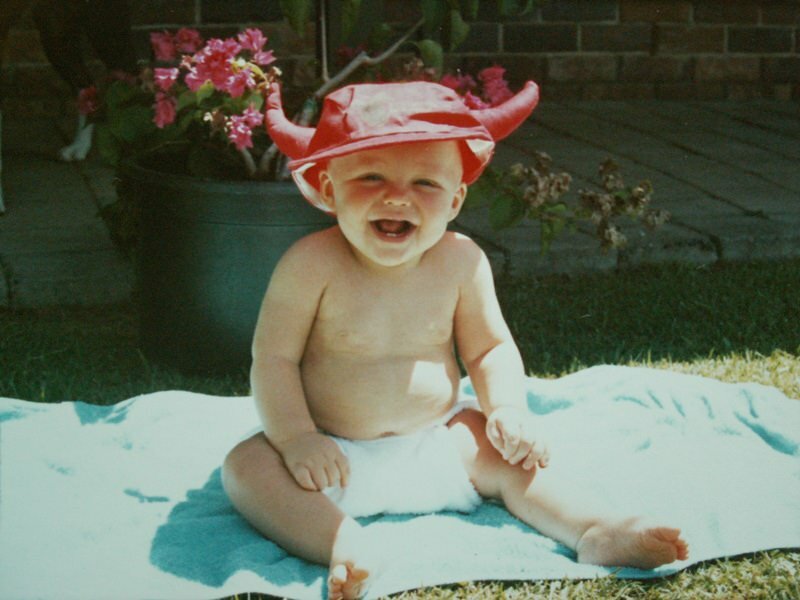 Back in the day we had film, shoe boxes full of negatives, and albums full of 4x6” prints. You looked after those treasured memories keeping them on display, on the bookshelf, hidden away in the cupboard or under the bed. No matter where they were they are always at the forefront of your mind for the unlikely event of a fire or other catastrophe, you would grab these along with your loved ones. As technology has changed dramatically over the past decade we have all of our new memories in digital. You may have thousands, even hundreds of thousands of images and videos stored on your phone, tablet, laptop, PC, USB sticks, and hard drives. Recently my old man started to digitize old photos by scanning in the film negatives and 4x6” prints to store them on an external hard drive. Generally this would be fine except all the old negatives and prints were discarded to the trash, yes the physical trash bin not the little icon on your screen. Now I wasn’t aware of this until Dad called and asked how to get your data back when your laptop crashes soon after opening a suspect email. So dad’s laptop and his data, including the connected external hard drive, was being held hostage by scammers. Everything was gone including the original negatives and prints. What’s your plan for storage failure and loss of files? So what happened to my old man can be avoided through back up management. Now this is something that I am quite passionate about as I have thousands of photos of my family and thousands of images I have taken professionally. A back-up system doesn’t need to be expensive or difficult and there are many ways to back up but the two main methods I will mention are hard drive cloning and cloud storage. Firstly cloning of hard drives is the simplest form of backing up. You can do this manually by dragging and dropping from your PC to the hard drive, or you can use software to automatically back up new files for you. This is probably where a lot of people stop with one copy of their hard drive attached to their computer. But I recommend you make another copy of your back up hard drive and keep that somewhere else, preferably offsite such as your office or a mates place. You will need to regularly swap these drives over, and depending how often you add new images and files to your PC this maybe weekly, monthly or quarterly. Cloud storage is another option for backing up where you upload the content of your PC to an online source such as iCloud, Backblaze, or Amazon Glacier. There are many options and they will range in price and capacity, and you will want to check each one for your own requirements. I have trialled cloud storage previously and it didn’t work for me, the initial upload of my storage system would take about 3 months of constant upload with an NBN50 plan. Do some research and find out what is the best method for you. I have a 1TB and 4TB drive attached to my computer, which are swapped out regularly with identical hard drives containing the same files. I have HP Smart Ware backup software which handles the file upload automatically from the multiple hard drives inside my PC. Put simply there are three copies of each file; one in the internal hard drive, one on the external hard drive, and third on another external hard drive stored offsite usually at the office. How do you currently enjoy all those memories? Back in the old days, actually probably only a decade ago, we used to have prints and even something called slides. These were around with vinyl records, cassette tapes and compact discs – remember those? They seem to have gone the same way as beta, floppy discs, mini-disc, and soon to be USB sticks, in favour of digital files. 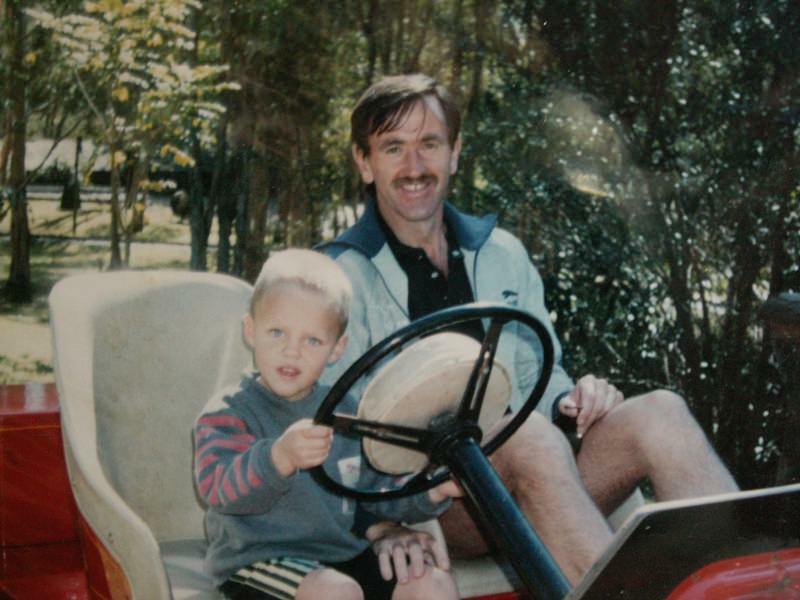 Do you remember as a child finding an old photo album and asking your Mum or grandfather who the people in the photos were, or even your own children may come across an old photo of your younger self? That doesn’t really happen anymore with images stored deep inside your computer, locked behind your phone screen, or stuck on a USB stick sitting in draw. How will your kids and future generations look back at these images? What do you do with your photos, new or old? I love printed photos, having something real, something you can touch and hold, share, or pass around. While I don’t print everything, I have my favourite images printed and placed in albums, on the wall, and of course many digital copies saved in many locations. 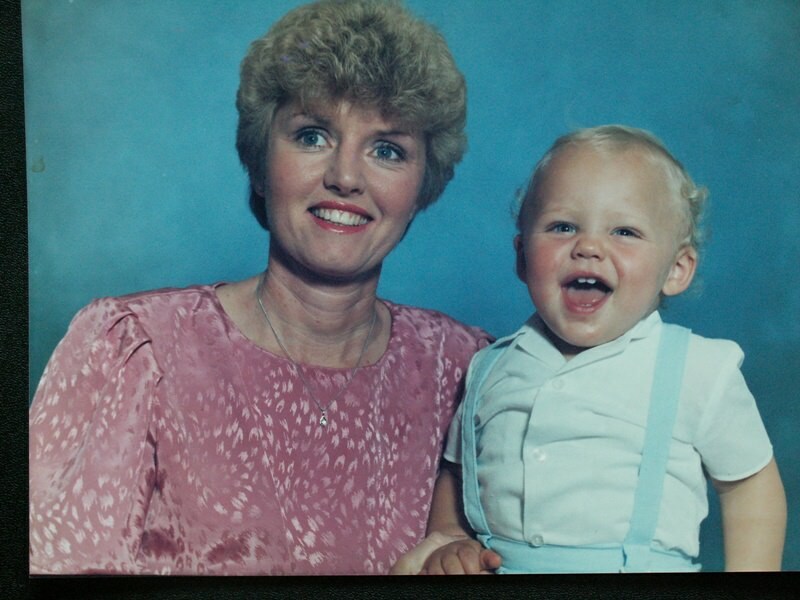 I don't have many images left of myself growing up. There are many approaches to dressing for your portrait session and I generally take a casual approach to suit the location and activity. I want to open up some new ideas, concepts and general rules of thumb to help you choose what to wear and look your best in for your next outdoor portrait session. You want to look your best for your photoshoot session but you also want to be comfortable in what you are wearing because if you feel uncomfortable, you will most like look uncomfortable. Dress for the occasion, activity or location; a tight dress and heels isn't going to work for a day at the beach, but would be perfect for an urban setting. Think about the location and the activity and what you would normally wear, then step it up just a little with some attention to detail and coordination. Take for instance a photoshoot at the beach wearing shorts and t-shirts with thongs or sandshoes. Now pick three bright colours and a base colour that work well together. Mix them up between shorts, shirts and accessories so not everyone is wearing the exact same thing but there is still connection. If that's too much colour, perhaps you could choose one colour that everyone would wear, whether it be pants, a shirt, a head band, or a scarf. I believe there should be something in common, but not the same item, to connect everyone in the image. Pay attention to the details by making sure your clothes are clean and lint free, shirts have been ironed and don't have large creases, buttons and zips are intact, bra straps are hidden, and tags have been removed. I always recommend that you avoid large logos, text and images where possible because they can date an image and be very distracting to the viewer. Amara and Johnathan have known each other for a long time, since they were kids but was not until later in life that they reconnected. We met up at Shorncliffe Pier for a late afternoon photo shoot taking advantage of the warm golden light. There are so many spots along the pier and around the walkways to stop and set up a shot. I love the simplicity and the colours of the image above. Following the Bunt Family photo shoot, I spent a little bit of time Anna and Mike and their two children to update their family photos. We picked a nice open spot in Clayton Park in Beachmere just to the side of where we had taken the larger group portraits earlier that morning. I had a lot of fun photographing the family in many different poses against the bright airy background with lovely soft natural light. One of my favourite portraits from this session is of Mike and his son standing together; safe if dads hands. Four generations in the same place and time; it must be wonderful for the little ones to grow up with their great grandparents and in turn for the great grandparents to enjoy and cherish a third group of young ones. Terri's daughter Anna arranged for the photo shoot on short notice in the hopes of being able to have some family photos taken quite soon while the whole extended family group of fourteen were all available. I was tasked with finding a suitable location that was easily accessible for the oldest generation to visit. After scoping a number of parks, Clayton park off Briggs Avenue in Beachmere was a winner. 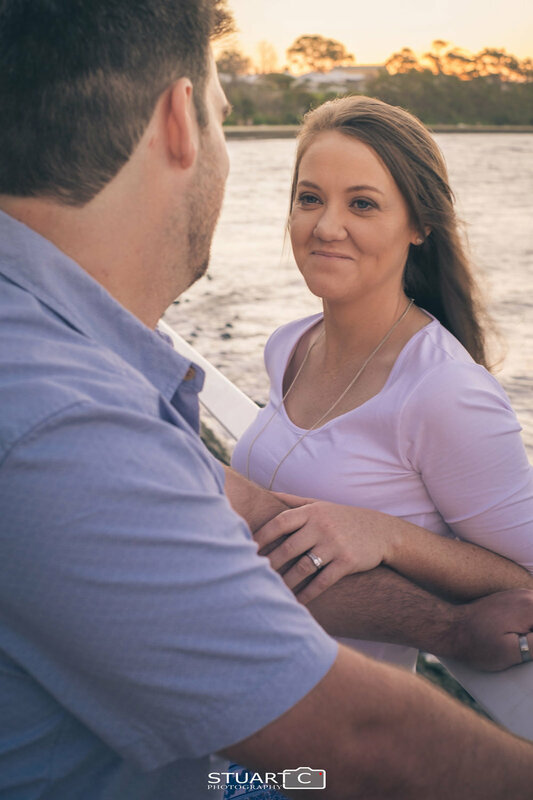 After speaking with Matt at length in the lead up to the shoot I knew I had the perfect spot for their engagement photos, a location I had only just discovered recently when passing through. Matt had mentioned that they love old, rustic and vintage styles; Matt had actually proposed while they were at Old Petrie Town. Jannika, Matt and I met up in the main street of Woodford late one afternoon in a quiet little side street lined with rustic sheds, timbers fences and tress with dappled light. 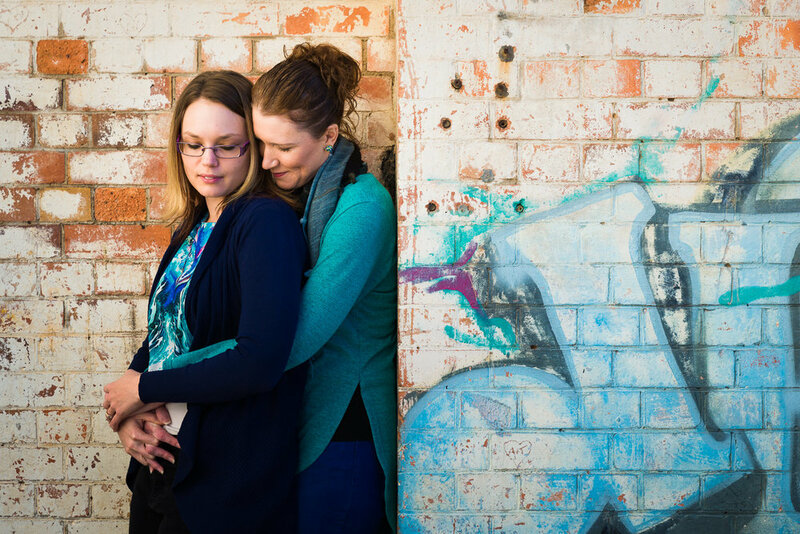 Both of them were super excited when they first saw the background I had chosen and I was having a blast finding pockets of light and framing Janikka and Matt in the doorways of the old sheds. Not long after the photo shoot we all met up again for the reveal of the images where Jannika and Matt chose a few of their favourites to use in their engagement party invites. Thank you again Jannika and Matt for the great afternoon, and I wish you all the best in your future together. Before meeting Casey and Gary at the Mt Cootha Botanical Gardens I had a few images in mind and headed into the shoot with a plan, hit up the Conifer garden first with the flowing pathways, and then head to the Japanese garden; I didn't think I would find my favourite image among the bamboo trees at the end of the shoot. I chose the gardens as our meeting place as Casey had mentioned that they wanted to get married in the rain forests at Mt Tamborine, I figured this would give them some nice images to compliment the style of their wedding location. The Mt Cootha Botanical Gardens offer a huge range of background from dense rainforest, urban art installations and open parkland. We had a lot of fun together as the three of us walked around and shot in as many locations around the gardens as possible. 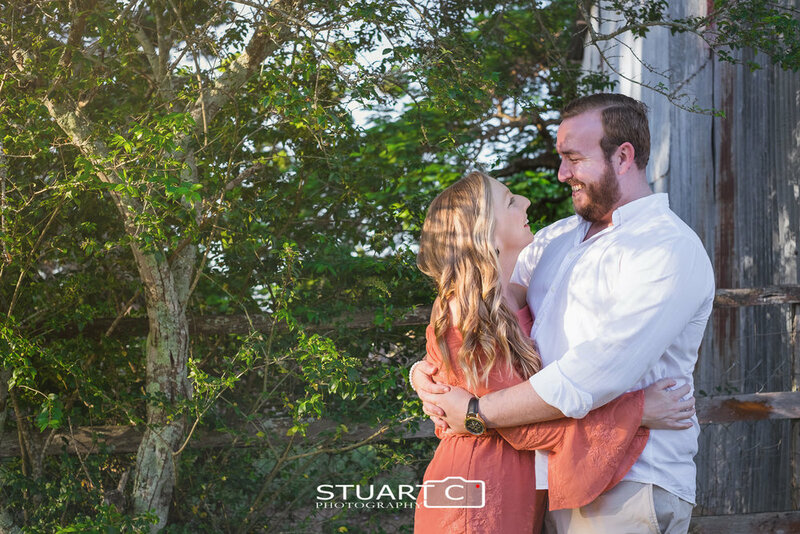 Thank you again Casey and Gary for the awesome afternoon, congratulations again on your engagement and I wish you all the best in your new future together!